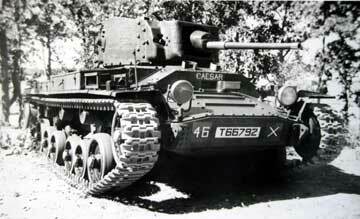 Valentine tank, these were issued to the Regiment after it became self-propelled in July 1945, Ranchi, India. Valentine tank, Ranchi, India, 1945. 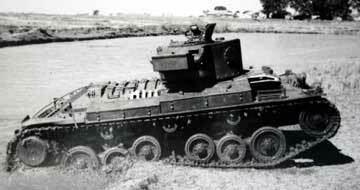 Valentine tank on transporter, Ranchi, India, 1945. 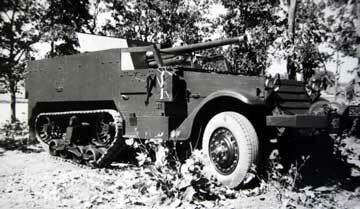 Mobile 6 pound anti-tank gun mounted on half-track scout car. 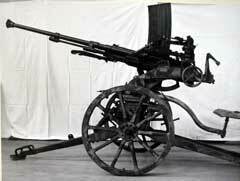 A troop of 6 pound anti-tank guns, Ranchi, India, 1945. 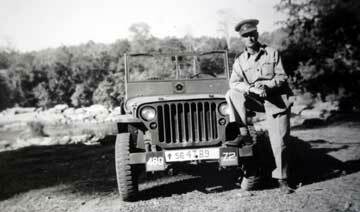 Jeep of the 56th Anti-Tank Regiment. Note the Lancaster Rose below the windscreen. Ranchi, India, 1945. 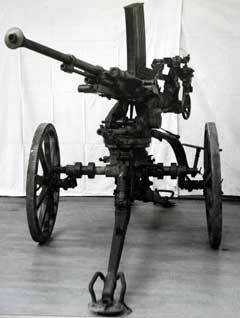 Japanese 20mm Anti-Aircraft/Anti-Tank Gun captured by the 56th Anti-Tank Regiment during the Burma campaign, 1945.